Meghan Markle is pregnant with her first child and told the Queen and the rest of the royal family at Princess Eugenie's wedding, it was revealed today. 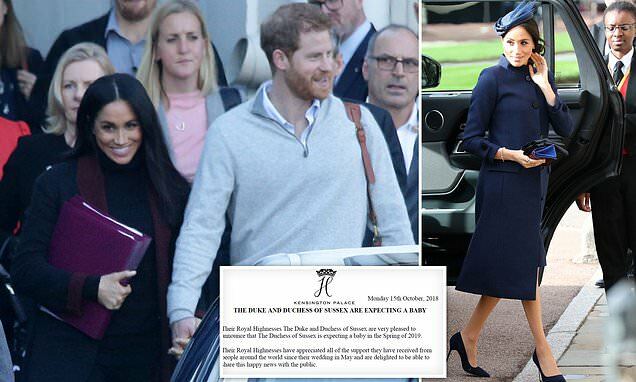 The happy news came hours after the Duke and Duchess of Sussex touched down in Sydney for their first major international tour since their wedding in May. 'Their Royal Highnesses have appreciated all of the support they have received from people around the world since their wedding in May and are delighted to be able to share this happy news with the public'.